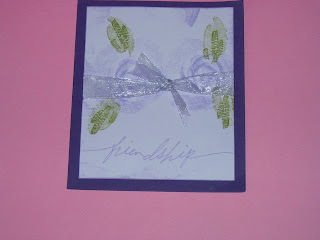 This is a rak I received from Pam Popp from scs rak club, It is so pretty and the picture does not do it any justice. She used Roses in winter . I think she did it in lavender lace and added ribbon .